2015 was a year of setbacks for the BJP. The year began with the humiliation of defeat in Delhi and ended with the embarrassment of party MP Kirti Azad accusing one of its most powerful leaders, Arun Jaitley, of involvement in financial irregularities. The chinks were wide enough for disgruntled elders L K Advani, Murli Manohar Joshi and Yashwant Sinha to see an opening to register a protest, throwing in the word “emasculation”. As MPs and leaders courted controversies with statements the party often had to apologise for, the image of both PM Narendra Modi and the BJP took a hit. The BJP’s assertions of cooperative federalism also looked lame in a year when Modi and Amit Shah became even more crucial to its poll campaigns, despite two big state losses and many minor ones. In fact, the only victories the BJP could highlight in 2015 were in local body polls. Unlike in the pre-Modi era when BJP CMs were veritable regional satraps, they are little heard from now. Two of the most powerful BJP CMs, Vasundhara Raje and S S Chouhan, were pushed into a corner by allegations of involvement in the Lalit Modi and Vyapam scandals. 2016 will pose a challenge to Modi and Shah, who need to put to rest doubts about their winning formula while heading into back-to-back polls in states where the BJP does not have a strong organisation. It would also be interesting to see how the BJP holds off the RSS domineering influence even while needing the Parivar’s help in the poll-bound states. A hint of things to come was evident in recent appointments to head BJP units — Dilip Ghosh in West Bengal and Kummanam Rajashekaran in Kerala are both Hindutva hardliners. “The RSS stamp in the party’s election strategy and appointments will be more visible because in the poll-bound states, it has more influence. The BJP’s organisation is weak in Assam, Kerala and West Bengal,” said a senior BJP leader. At the organisation level, the BJP has been in the process of expanding its membership base and will complete its internal election process in the next two months. The poll debacles are expected to cast a shadow, so while Shah will be re-elected, he is up for some tough questions. He has hardly any breathing space, with the Uttar Pradesh polls due in early 2017. With 19 months of the Modi regime failing to effect any major changes in social and economic sectors, the BJP will seek to ensure that good governance, its main plank, is visible on the ground. “A major challenge will be implementation of the government’s programmes and taking its message to the ground level. We have to ensure a job for every youth and insurance for all in villages,” said party secretary Shrikant Sharma. Key pieces of legislation the BJP was counting on to bolster its development agenda didn’t clear the House. GST remained stuck, but having to withdraw the land acquisition Bill perhaps pinched the party the most. Perhaps the most defining moment for the RSS last year, which was also a major political turning point, was the remark of sarsanghachalak Mohan Bhagwat on reservation. His comment during the Bihar election campaign that there was a need to review the reservation policy was seized upon by the Mahagathbandhan to convey the impression that the BJP might scrap quotas if it came to power. The BJP was troubled enough to get chief campaigner Prime Minister Narendra Modi to underline his “ati-pichhda (extremely backward)” origins during the campaign. 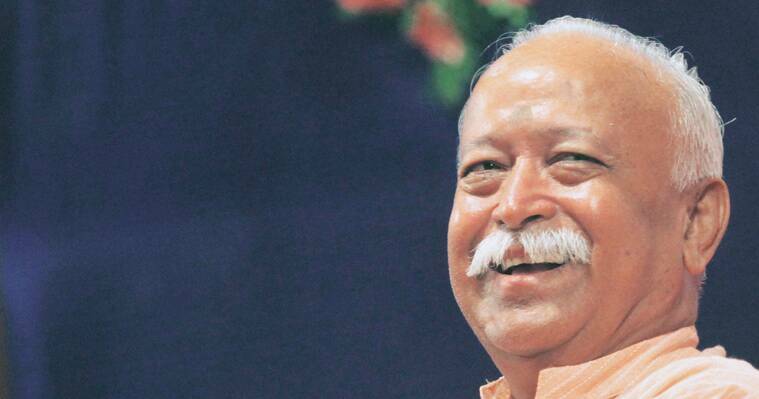 While the Sangh Parivar did its best to contain the damage from Bhagwat’s remarks, the BJP lost badly and party leaders, in private, were quick to blame the RSS chief’s injudiciousness. Another RSS statement, highlighting the “imbalance” created by “the rising population of non-Hindus” and demanding a population policy, also during the course of the Bihar campaign would not have helped the BJP cause either. Towards the year end, came news that tonnes of fresh sandstone had landed in Ayodhya for building of the Ram temple. While Sangh outfit VHP has sought to point out that there is nothing new in its karsevakpuram getting a supply of stones, the timing — soon after Bhagwat said that making a Ram temple would be a fitting tribute to recently deceased VHP patron Ashok Singhal — did catch public notice. The fact that the countdown to the Uttar Pradesh elections of 2017 has begun was not lost on anyone either. Any flare-up in Ayodhya would take months to settle down. 2016 is the year the RSS starts implementing the three major targets it has set for the next three years. The first is an expansion plan, with the Sangh aiming to reach at least 80 per cent mandals (a group of around 10 villages) from the nearabouts 40 per cent where it has a presence now. The second is achieving “samajik samarasta (social harmony)” by ending caste discrimination. It will advocate common cremation grounds, same source of water in villages and no discrimination in temple entry. Surveys will be undertaken across the country to identify such cremation grounds etc where caste discrimination prevails. The third is maximum involvement of swayamsevaks in development and welfare initiatives that do not need government interference and can be undertaken at the citizen level. At present 1.6 lakh such works are being undertaken by swayamsevaks, RSS claims, and the Sangh considers the count very low. Having sufficient influence over several Union ministries, RSS also wanted some hold over the PMO. The Prime Minister was never short of declaring his swayamsevak identity, even attended the coordination meeting called by the Sangh in Delhi. 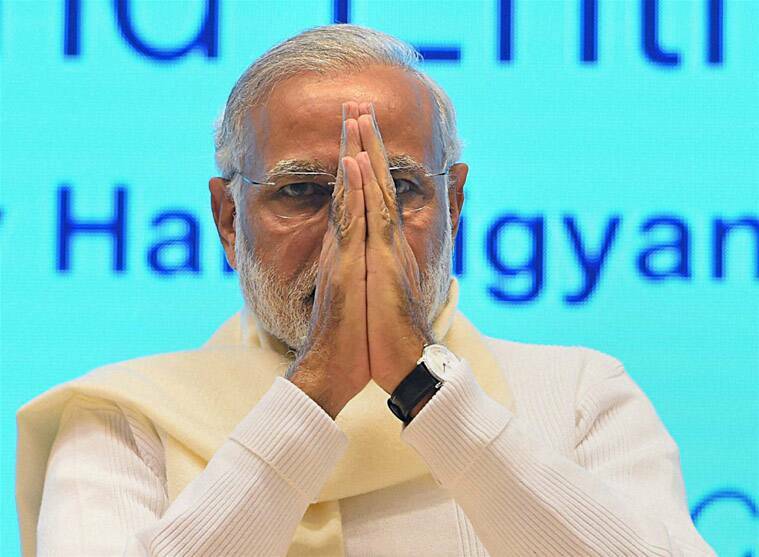 Still, Narendra Modi’s office has remained beyond Nagpur’s purview. Rahul 2.0 is more visible, but is he enough? If 2014 was the worst year in the history of the Congress, 2015 gave it a glimmer of hope. Rahul Gandhi finally found his voice and exhibited well-rehearsed aggression to take on the ruling BJP. It was enough for ever-fawning Congress leaders to believe their 45-year-old “young” leader would find them light at the end of the long tunnel they had pushed themselves into. It didn’t look this bright at the beginning of the year, when the party first drew a blank in the Delhi elections and then saw Rahul drop out of sight for nearly two months. Since he returned, the change has not just been confined to an increase in public appearances but has apparently happened also in political beliefs and notions. Pointing out that Rahul once publicly opposed an ordinance by his party’s government that would have helped the RJD’s Lalu Prasad, a senior party leader says, “He agreed to be a part of the grand alliance with Lalu in Bihar… It is the same Lalu, it is the same Rahul… I think Rahul is now much more grounded.” The Bihar Mahagathbandhan victory has done wonders for the Congress’s confidence. AICC general secretary Shakeel Ahmed said it is not a new Rahul on view. “Ever since Rahul entered politics, Congress had been in power. There was a PM, a council of ministers and government functionaries. So there was little opportunity to speak… In a sense, he was not interested in beating his own drum. The situation is different now,” he said. While the Congress may have had largely its way in Parliament in 2015, blocking key bills that mattered to the government and managing to make enough noise over corruption allegations against BJP ministers and chief ministers, the party hasn’t really displayed any out-of-the-box thinking to translate that into tangible gains. It is only replicating what the BJP did while in opposition. The real test will come in the next few months, with a succession of assembly polls. Two of these states, Kerala and Assam, are ruled by the Congress and it can hardly afford any more debacles. The big question is if Rahul will show the dexterity and astuteness to stitch up a winning alliance in UP in 2017. 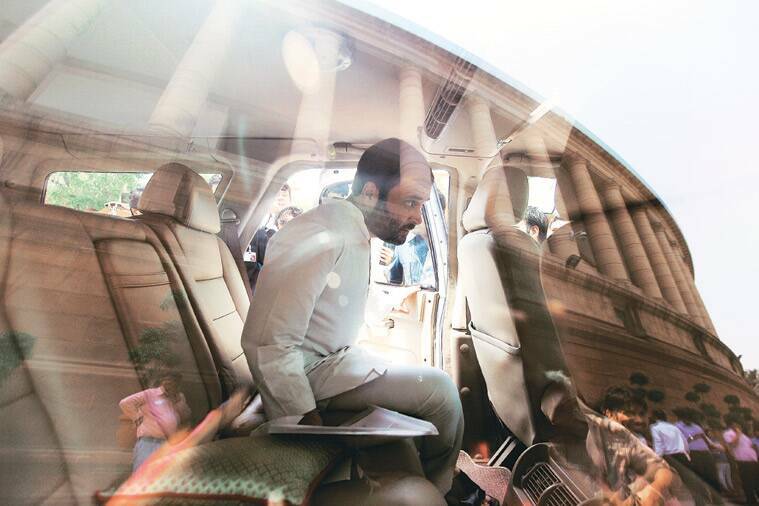 Rahul’s promise of transforming the Congress “in ways you can’t even imagine”. “Restructuring is under way in a slow and steady way,” insisted aide Jitin Prasada. That is a line heard from the Congress before. The Aam Aadmi Party started 2015 on a high as it stormed back to power in Delhi. Then came bitter acrimony as senior leaders Yogendra Yadav and Prashant Bhushan, eventually expelled, accused Arvind Kejriwal of “dictatorial ways”. The voices of dissent continued as Mayank Gandhi and Subhash Ware resigned from the national executive with the former accusing Kejriwal of “gutter politics”. The party eventually disbanded the Maharashtra unit headed by Ware. Amid the dissent, Kejriwal took on PM Narendra Modi over his “undue interference” in the working of the Delhi government. He invited chief ministers for a conference that was attended by Bengal’s Mamata Banerjee and Tripura’s Manik Sarkar and backed by Bihar’s Nitish Kumar. Kejriwal announced support to Nitish in the Bihar polls and reached out to the Poorvanchali in Delhi to vote for him. After turning a Delhi government event into a rally in support of Nitish, Kejriwal attended a Bihar government event, but sought to keep a distance from Lalu Prasad for fear that it would affect AAP’s anti-corruption image. At the annual national council meeting, Kejriwal spelt out his priorities — the Punjab (assembly) and Delhi (municipal) polls. He is set to sound the poll bugle in Punjab on January 14 with a mega rally in Muktsar. 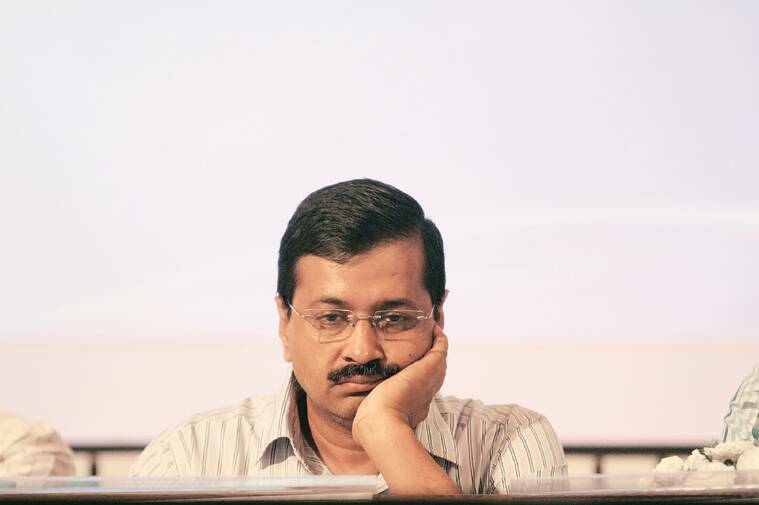 Party sources expect Kejriwal to spend a large part of the last six months of the run-up to the polls touring Punjab. Senior leaders Sanjay Singh and Ashutosh, who have visited Canada to woo NRIs, will take the overseas campaign forward along with Kumar Vishwas. In Delhi, the organisation will work towards strengthening governance. The party has decided, however, not to contest polls in states where it lacks a structure. It is likely to extend support to anti-BJP forces, as it did in Bihar. The Jan Lokpal Bill, though passed by the Delhi Assembly, went through several amendments and dissenters are now calling it a much “weakened bill”. Considering how 2015 started, Trinamool Congress chief Mamata Banerjee should be happy at how the year has panned out. In the beginning of the year, there were successive arrests of her ministers and MPs in the Saradha scam, followed by a falling out with one of her closest aides, Mukul Roy. There were bitter exchanges with the Centre, with charges of the CBI being used as a political tool. Relations with the Centre have since improved, and the CBI heat has abated. Mamata has shared the stage with the PM and met senior members of the government — though there is nothing much to show from the meetings. Even Roy has fallen in line, after knocking on all doors from the Congress to the BJP and, briefly, even the Left. As Mamata heads into her first election as chief minister, she faces both the Saradha sword hanging over her head and the looming possibility of a tacit Congress-Left alliance. However, even if the latter should happen, there are few who doubt that the TMC will romp home again. The X factor is the AIMIM of Asaduddin Owaisi, which has tested the political waters in Bihar and may want to try its luck with Bengal’s substantial Muslim vote — so far behind the TMC. A BJP victory in Bihar. That would have buried the chance of an anti-TMC vote, in the shape of the Congress and Left, consolidating. 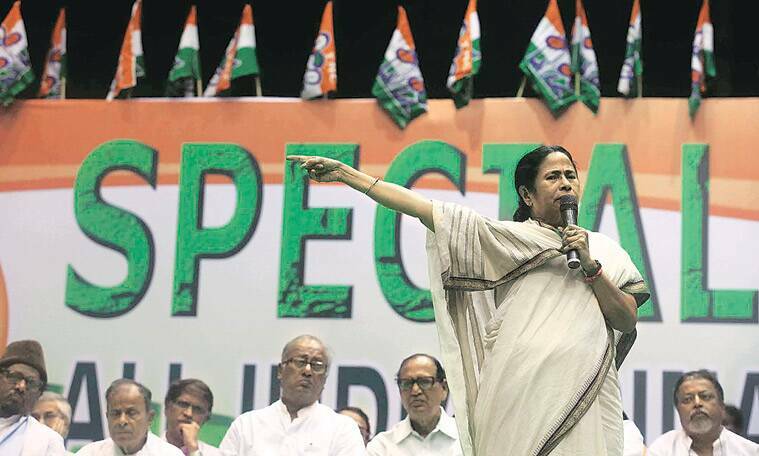 Having tasted success with a grand alliance, the parties could try the same in West Bengal. 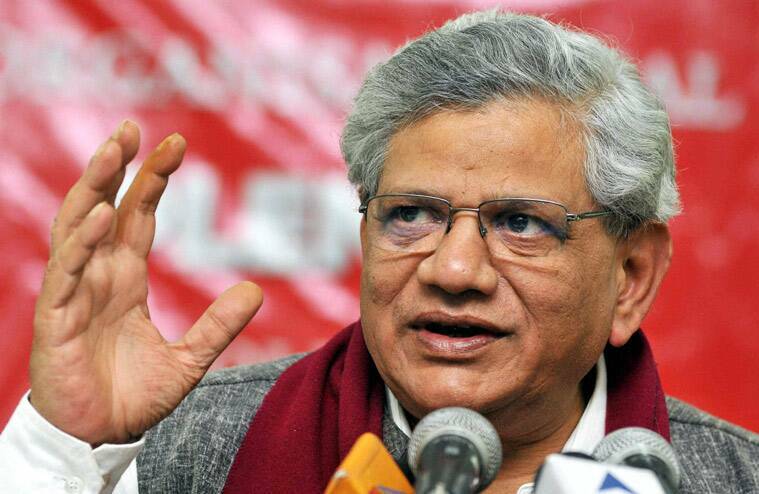 The CPM, which leads the mainstream Left bloc in India, got a new helmsman this year in the form of Sitaram Yechury. He is neither dogmatic nor a hardliner like his predecessor — rather a practitioner of realpolitik. The party held both its once-in-three-years congress this year as well as an an extraordinary conclave on organisation. At the congress, the party reviewed its political tactical line and electoral approach after nearly four decades. The CPM resolved to adopt “flexible tactics” to meet swift changes in the political situation and to use “conflicts within sections of the ruling class parties while uniting with some of them”. What it can take heart from is that at the national level, the Left continues to wield political influence disproportionate to its electoral strength and geographical spread largely because of the ideology-driven alternate political positions it takes. Its voice is heard loud and clear in Parliament. Its positions, be it on the juvenile justice Bill or on economic reforms legislations, stand out. An amendment moved by Yechury and his party colleague P Rajeeve to the motion of thanks to the President’s address got carried in March, embarrassing the government. The Kerala and West Bengal elections weigh heavy. The worry in Bengal — which is no longer a Red fort — is the lack of a charismatic leader. The problem in Kerala, a state with a history of oscillating between the Left and the Congress, is the presence of one in the form of the unpredictable V S Achuthanandan. This complicates the leadership question. If in Bihar, the Left Front resisted the urge to align with the socialists and the Congress, this could happen in Bengal. The CPM may seek to have an understanding with the Congress to take on the Trinamool Congress. The popular belief was that the Left would join the Mahagathbandhan against the BJP in Bihar. But it stayed away; the CPM and the CPI fought together with the CPI(ML). Tamil Nadu Chief Minister J Jayalalithaa ends 2015 politically as strong as ever, though the Opposition kept up the clamour over her “absence from public view”. If senior BJP leader Arun Jaitley visited her in January, three months after her conviction in a disproportionate assets case, Prime Minister Narendra Modi himself dropped in in August. She got acquitted in the case in May, and was voted back to the Assembly by a record margin a month later. In September, her credentials as a good administrator got a boost when the state got investment proposals worth Rs 2.42 lakh crore during an investors’ meet. However, the lasting image as 2016 begins is of floods swamping Chennai, and a state government struggling to meet the challenge before and after. 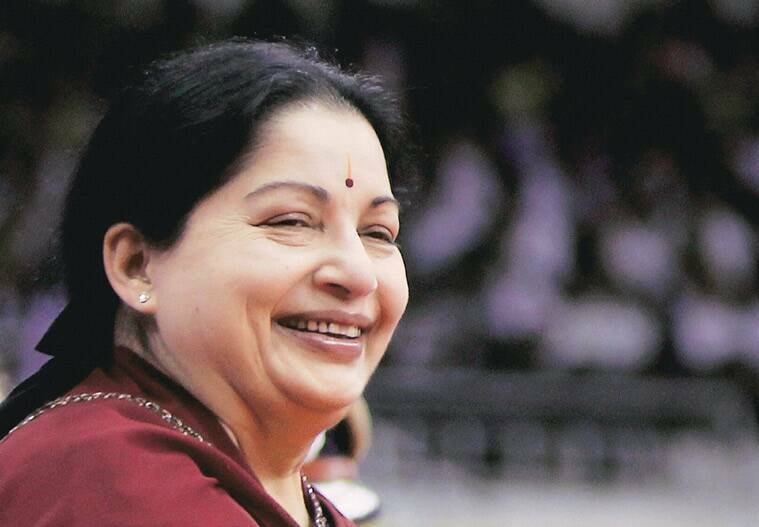 With elections expected in April 2016, one of the first tasks at hand for Jayalalithaa is flood relief. She has already announced relief measures worth several hundred crores, including direct money transfer to victims. However, as far as offering her real contest in polls goes, both the DMK and the newly formed alliance of the Left are right now fumbling. Should the AIADMK win again, as expected, it could finish off many of the smaller parties in the state as well as deal a big blow to the DMK, whose ageing patriarch M Karunanidhi is struggling to contain his squabbling sons. That could pave the way for the BJP’s entry in the state. If the AIADMK loses, Jayalalithaa is in for one of her hardest times. Any lessening of the AIADMK’s show of devotion towards Amma. 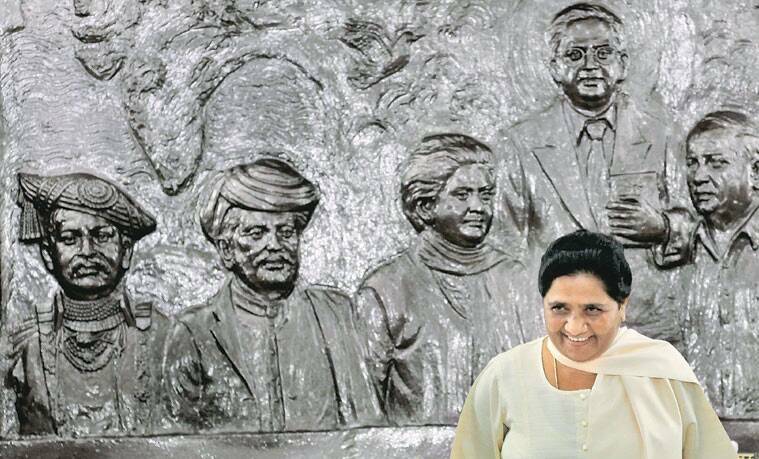 After the Lok Sabha failure, the BSP got a fillip in UP as it won over 700 zila panchayat wards. At central level, the BSP was among the Opposition parties that extended support to the GST. For most part of the year, however, it chose to keep a low profile, as it focused on building a viable caste combination ahead of the UP elections. It is working on a consolidation of Dalits and Muslims, with focus on youth — nearly 50% office-bearers at lower levels are under 35. One task the party has set itself is countering the Sangh Parivar’s effort to appropriate Dr B R Ambedkar’s legacy. Aware of the potential impact of the RSS campaign to woo Dalits, the BSP is yet to unveil a strategy to counter it. Municipality elections are due in January in a year that is crucial to laying the foundation for approaching the 2017 polls. With modest hopes in the Bihar elections, the BSP fielded candidates in 237 of the 243 seats — the highest number by any party. It could not win a single seat. The Bihar poll outcome marked the biggest political turnaround of the year. 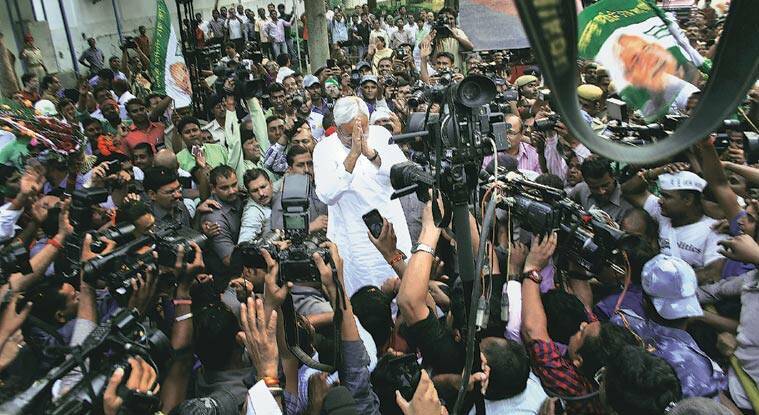 Leading a JD(U)-RD-Congress coalition, incumbent Chief Minister Nitish Kumar swept the polls. The coming together of Nitish and Lalu Prasad was an idea floated by JD(U) president Sharad Yadav, part of a proposal for a reunification of the Janata Parivar. Faced with the rivalry between Nitish and Lalu, Sharad Yadav roped in Samajwadi Party chief Mulayam Singh Yadav to win over Lalu, related to him by marriage. Sharad Yadav threw Mulayam a bait — he was anointed president of the proposed party before it was even formed. The real breakthrough came when Lalu, under pressure from Mulayam and Sharad Yadav, agreed to the projection of Nitish as CM candidate. Lalu had no choice. He was ineligible to fight a poll and no member of his family was in a position to lead. It is ironical that Mulayam broke up with Nitish and Lalu and drew a blank in the polls, while they moved on to enjoy the fruits of their alliance. Nitish was back in power. Lalu was able to launch both his sons successfully in politics and government. “After this victory we will proceed to Delhi,” Lalu announced after the results. “We will first go to Varanasi (the PM’s constituency). We will tour the country and create a people’s movement against the Modi government.” There has been no movement on this since, but one could possibly get to see Lalu at Varanasi in the new year. The merger of the Janata Parivar — SP, RJD, JD(U), JD(S) of H D Deve Gowda, INLD of Om Prakash Chautala and Samajwadi Janata Party of Kamal Morarka — fell through.